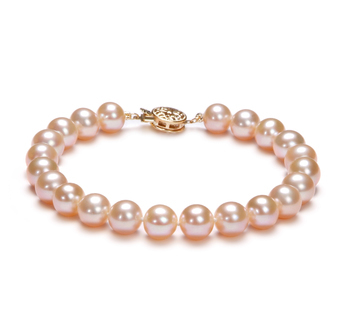 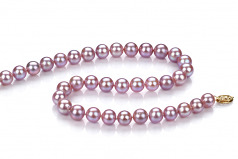 The soft and gentle nature of Lavender Freshwater Pearl Necklace displays the classic and elegant AAA mirror like luster that the freshwater pearls are known for. 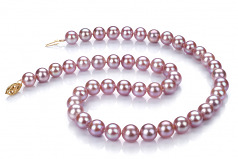 The sheer 8.5-9mm size is on the larger and more valuable end of the overall scale but is paired perfectly with the AA out of rounds shape of the lavender pearls found with this necklace. 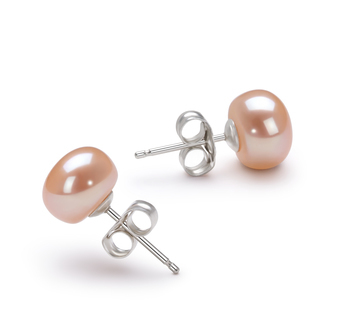 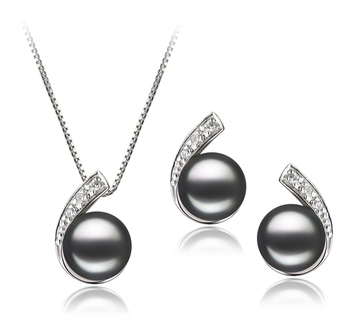 It is unique and intriguing with the shine creating rays of shimmering sparkles from the varying surfaces of the pearls. 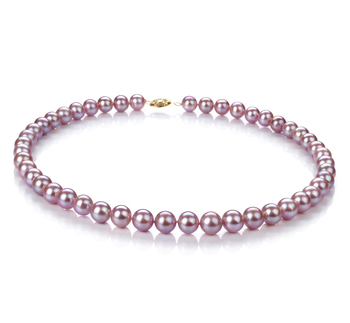 The Lavender Freshwater Pearl Necklace remains timeless and elegant in all its glory. 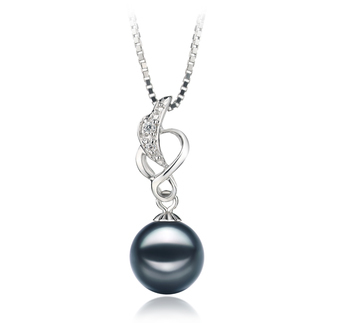 The necklace is held secure with it’s a fashionable clasp and further enhanced with each pearl being separated with a hand tied double knot to ensure that no two pearls can rub, touch or damage the shape or luster of each other.